When you begin a family and you’re looking for the right vehicle to fit your needs, the Chevrolet Malibu is a car you should consider. As a name you’ve known for a long time, the Malibu of today has matured and become more sophisticated than what you’ve had in the past. You’re going to be amazed by the style, roominess, technology, and versatility offered of this impressive car. This is the car that fits into your life with ease while making sure you don’t have to break your budget to have quality features that make driving better. 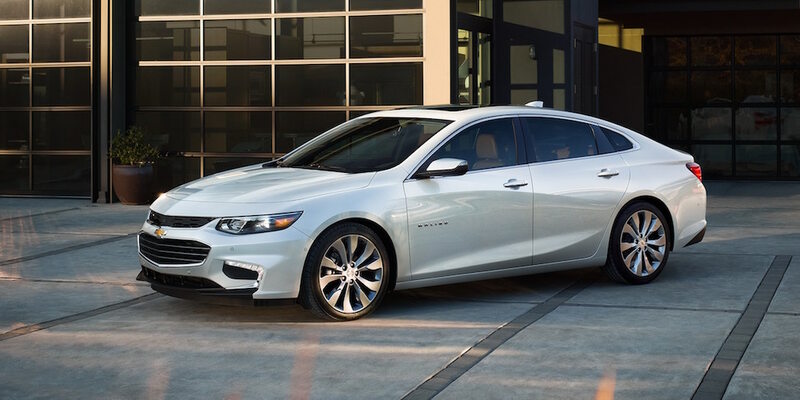 Stop by and see your nearby Chevrolet dealership and take the Malibu out for a test drive. When you get behind the wheel, you can connect your smartphone to the infotainment system using the Apple CarPlay or Android Auto features offered. These programs allow you to see a mirror image of your smartphone apps on the screen to make it much easier for you to enjoy the drive and make use of the features of your phone. This is a great way for you to enjoy your own music apps without the need to check your phone to change songs or move through a menu. Do You have a New Driver in the Family? Another great way the Chevrolet team makes the Malibu the perfect choice for you to drive is with the Teen Driver feature. This feature allows you to keep tabs on a younger driver by monitoring their speed and where the car has gone when they are behind the wheel. You’ll even be able to mute the audio system until all seatbelts are fastened for the passengers and the driver in the vehicle. This system is offered to help you teach your teen to drive better. Whether you have a small budget or one that can reach the top trim level, the Malibu can be the perfect choice. The L trim gives you the basic features you want including a rearview camera, an eight-inch infotainment screen, and the tech you want. Moving up to the Premier trim will give you adaptive cruise control, blind spot warning, the 4G LTE Wi-Fi hotspot features that can make the driving experience even more enjoyable. Let the team at your nearby dealership help you figure out which trim will be the one you want to take home. How do You Want to Drive the Malibu? Every trim level of the Chevrolet Malibu gives you a generous rear seat that can fit your kids when they are small and your adult friends when you need to. You’ll find plenty of room for luggage and gear in the trunk to make it possible for you to have the ability to take the Malibu with you on vacation when you want. Visit your nearby Chevrolet dealership and figure out which version of the Malibu will be the one you begin to enjoy driving every day.